If you want to be successful in Official Fantasy Bundesliga then you need to be able to assemble a crack squad to lead you to the title. The key for picking defenders is how many challenges they win. 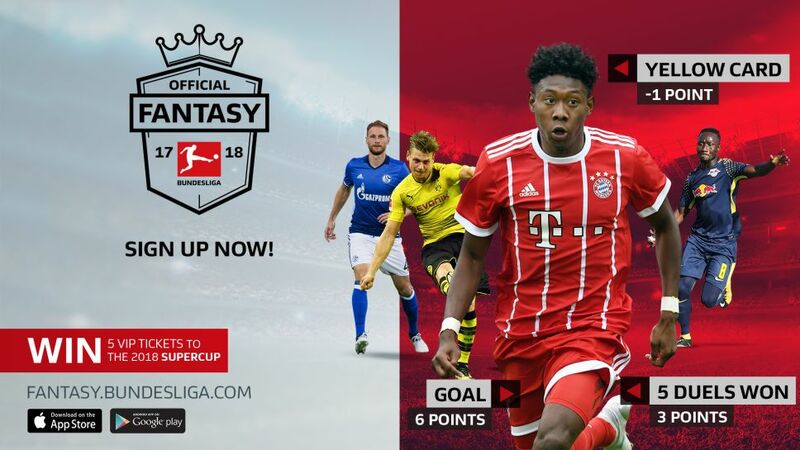 bundesliga.com brings you the top ten Fantasy defenders from last season. Cologne’s Germany international was the best defender in the game for 2016/17. He was regularly deployed in midfield by Peter Stöger last season but was consistently a top performer. Can you afford not to include him? Borussia Mönchengladbach’s Great Dane is not just important in defence but his almost two-metre tall frame makes him an asset going forward too. He provides plenty of goals – and therefore points – from set pieces. Orban was one of the key performers in the RB Leipzig side to finish second as their on-field leader. It would be unimaginable to drop him, so you can’t go wrong by signing him. The second Cologne player in the top five as the Dane impressed at both centre-back and full-back. There will be added competition in the Billy Goats’ defence this season, but don’t let that put you off. Yet another Leipzig player who had a strong campaign. Halstenberg was an almost ever-present down the left for RB and was impressive in both defending and going forward. The perfect candidate for your team?